The picturesque but challenging course tested more than 800 athletes, including 21 athletes in the six Spirit professional teams, each from different European countries. Series athletes dominated the day, taking second and third place in both the men’s and women’s professional division. 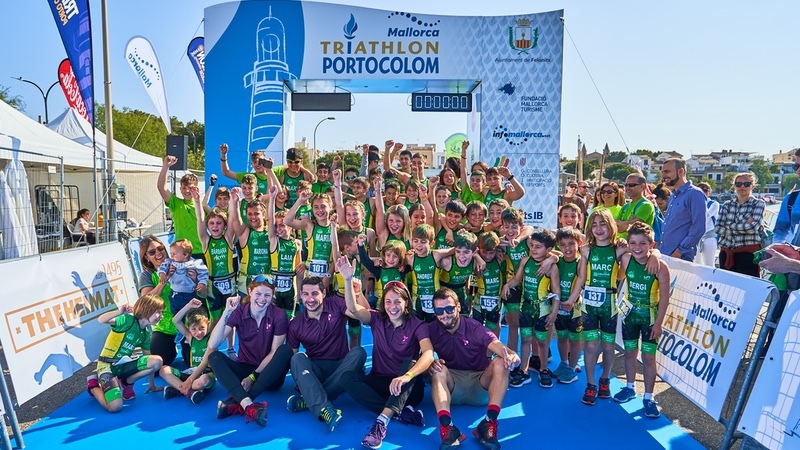 Spirit Multisport CEO, Tom Sutton, heralded the race as a success and thanked the organisers, volunteers, coaches and athletes who attended the International Triathlon Portocolom. He said, “The team at Portocolom have been operating this event with great success for many years. It is a quality event offering a great experience for all athletes and that has a focus on the community, which was demonstrated when over 200 kids raced the children’s event on Saturday. Sutton added that the event was also a successful first step in delivering a real alternative to current long distance triathlon offerings. “Our goal is to provide a real alternative by delivering higher quality, unique race formats and distances that triathletes can plan their seasons around. With our first event we’ve shown that independent races with the right location, format and organisation can offer an improved version of the sport. At the International Triathlon Portocolom, Nina Derron of the Home of Triathlon Team St Moritz, Switzerland took second place in the women’s professional division while Chantal Cummings of Team ETE Racing, UK placed third. In the men’s professional division Milosz Sowinski, of Triangle Sports, Poland, placed second while Markus Horman of Team Tripep of Germany, placed third. The next race in the Spirit series will be held in Chiemsee, Germany, with series races following in France and Austria.